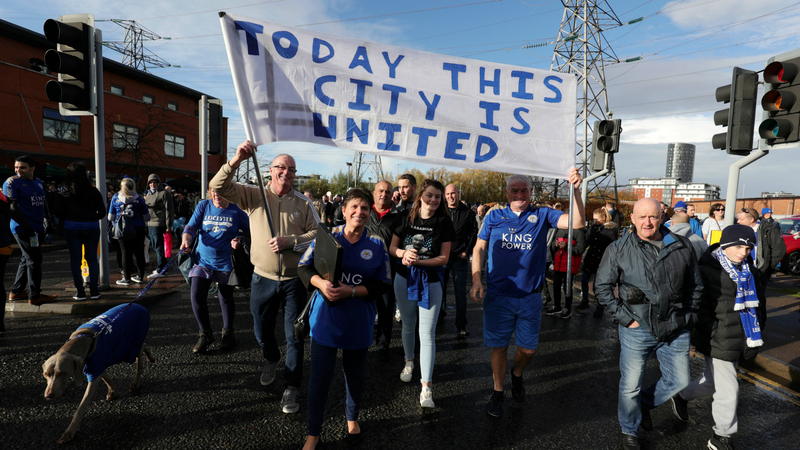 Harry Maguire joined Leicester City players on a tribute march to the club's late owner and chairman Vichai Srivaddhanaprabha. Srivaddhanaprabha, who oversaw the Foxes' remarkable Premier League title triumph in 2015-16, was one of five people killed when his private helicopter crashed outside the King Power Stadium. "Just finished the #WalkForVichai," England defender Maguire wrote on Twitter. "Unbelievable support. A special day for an amazing man." Ahead of kick-off, a video tribute to Srivaddhanaprabha will be shown on the stadium's big screen, while a two-minutes silence will also be observed.